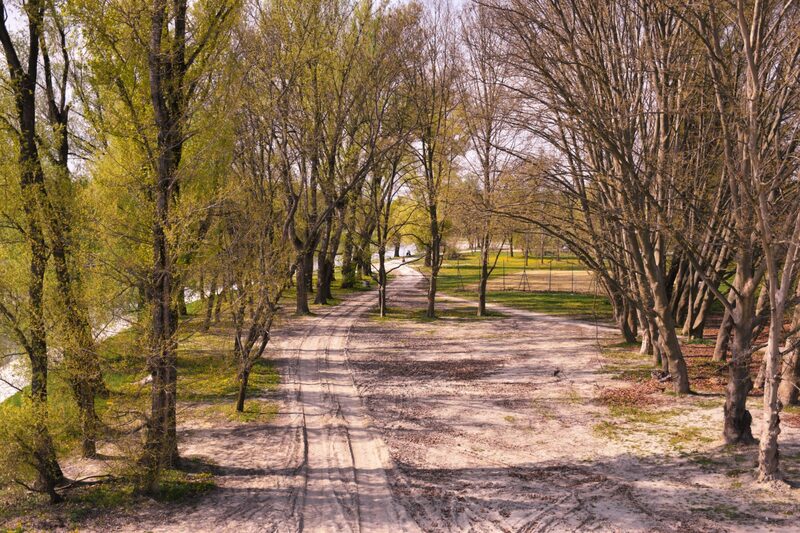 A spring vacation, YES or NO? 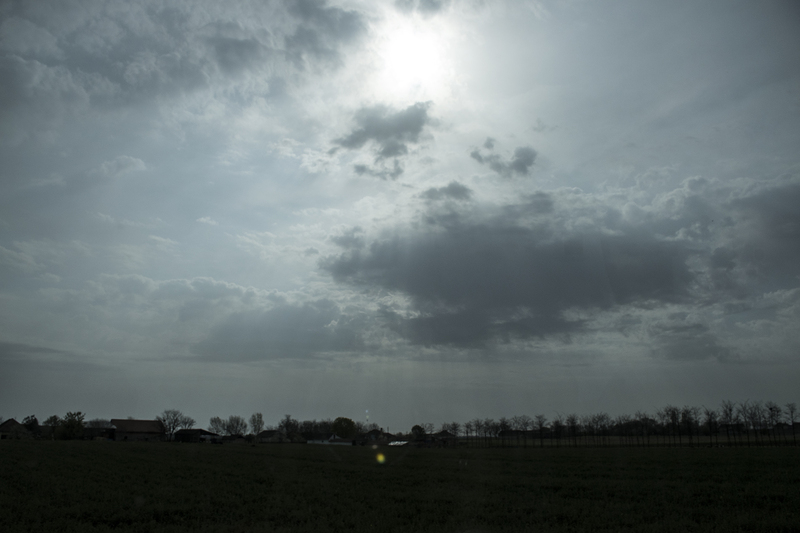 A spring vacation in Middle and Eastern Europe? Somehow, with spring and higher temperatures, I feel a bit tired, and I need some refreshment which will eventually inspire me to some new life and business ventures. Temperatures aren’t high, so that, apart from your legs, your brain can function too. Trips through Europe are also significantly cheaper when it’s not the holiday season (June, July, August), so you can make it a complete success in the combination with a free weekend. Why Eastern and Middle Europe? I think we are all somehow rushing towards the West, including me. Everything seems better, prettier, fancier and more organized there. However, during this trip, I established that that the rest of the Europe is unjustly neglected. Not so far Hungary, Slovakia, Czech Republic, and eastern Germany, are also good enough to offer something. After skimming and visiting dozens of websites, private accommodation and tourist arrangements, I decided to take this trip in the organization of mountaineering club ‘Zeleznicar’. 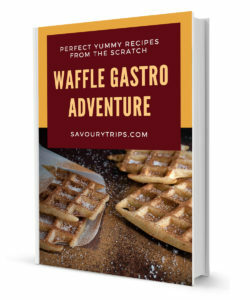 I got everything in one, accommodation, food, a tourist-food guide for the entire trip, and also some nice hiking tours, and fun of course. I’ve been very skeptical at the very beginning of this trip. I couldn’t talk my husband into taking this trip with me. I assumed that, in that part of the year, I would be, if not the youngest, then among the younger passengers. Everyone I invited told ‘no’. So, I had to make a decision and, for the first time in my life, travel by myself. I had various topics and questions without answers crossing my mind in those moments. I was supposed to go on a trip alone, with some people I haven’t even seen before. What would I talk to them about, how was I to share a room with someone I didn’t know at all? People rarely decide for spring trips, especially younger ones, probably for multiple reasons, both financial, or the impossibility to use their annual leave at that time. Depending on the eagerness to travel, you can find different ways to avoid that. A combination with a weekend for a smaller number of days of annual leave, organizing a trip by yourself, or going with a mountaineering club so that it costs less, like I did. As I assumed, I was the youngest one in the bus, although that is not an easy thing to achieve at my age J. I thought I would get bored to death in those 6 days. Eventually, I had an amazing time with these ‘moms and dads (some were even older than my parents)’, we hung out, made jokes, went out, went sightseeing. It was never boring on the bus, there was everything from jokes and calling names, joking about everyone and everything. If you asked me if I would go again, I would immediately answer ‘YES’. I think that says the most about the time I had there with these people. 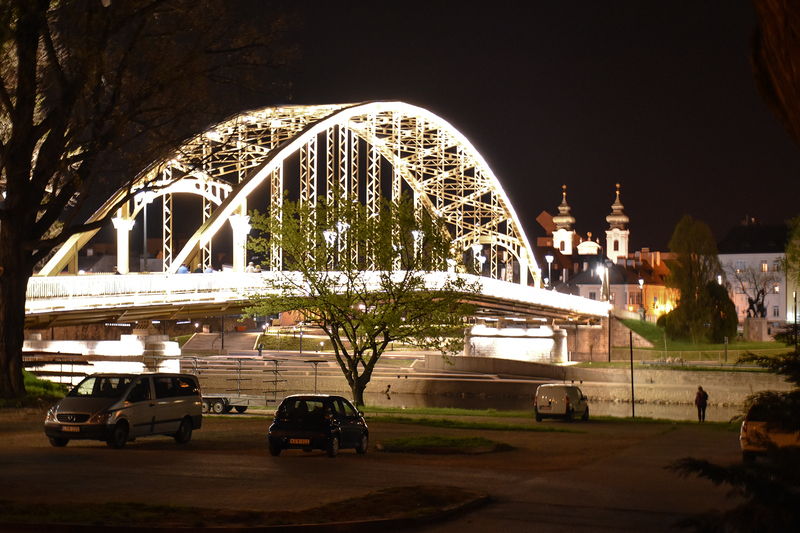 By the way, in only 6 days, we visited Hungary, Slovakia, Czech Republic and eastern Germany. 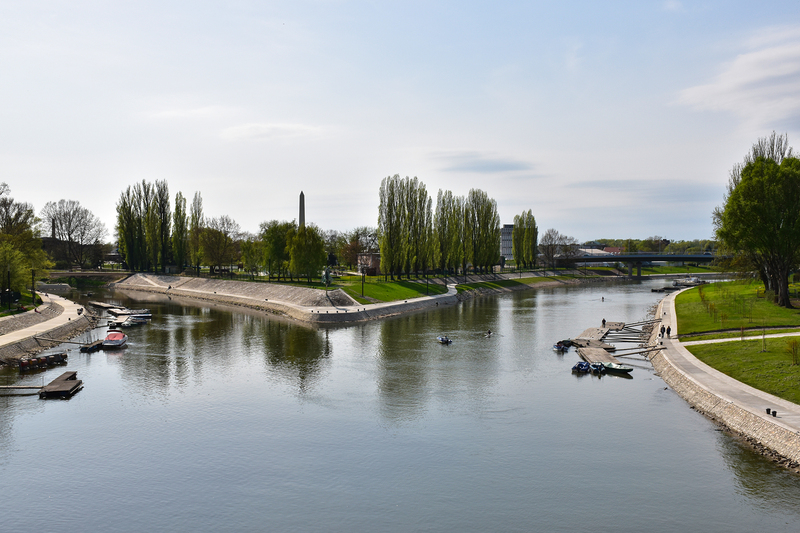 I begin with my trip with a small and a nice place in Hungary- Gyor. 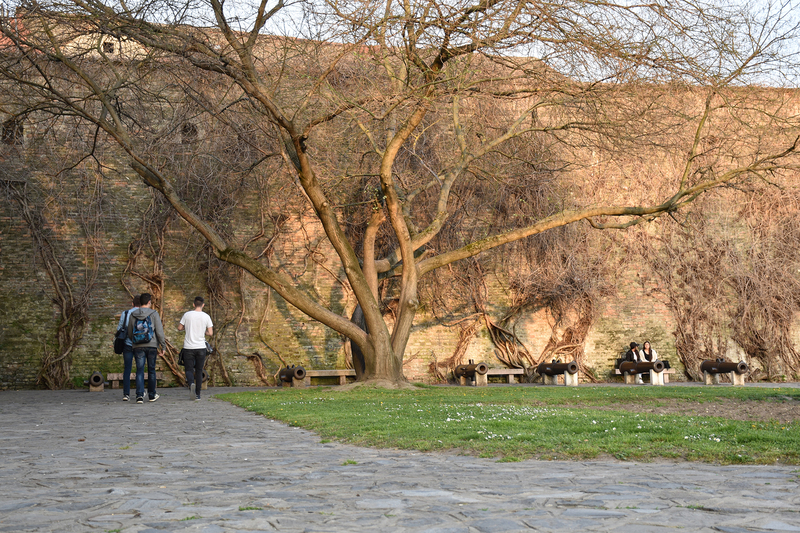 A medieval town, set half way from Budapest and Vienna, or approximately 490 kilometers from Belgrade. 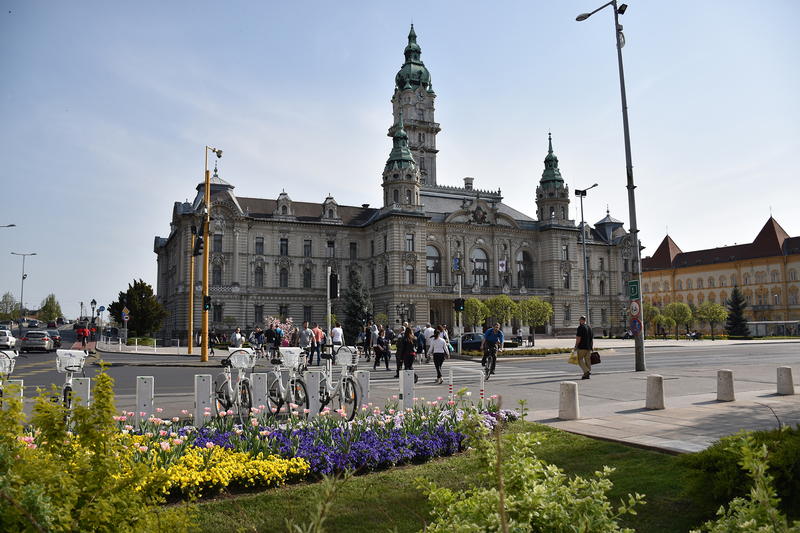 Gyor is the 6th largest town in Hungary, and it is near one of the important roads in Europe. It is famous for the AUDI sports car manufacture: Audi TT, A3 convertible, A3 limo, as well as many motorbikes (90% of all Audi motorbikes are produced in Gyor). It is possible to pay a visit to the Gyor factory, you just need to plan it ahead. 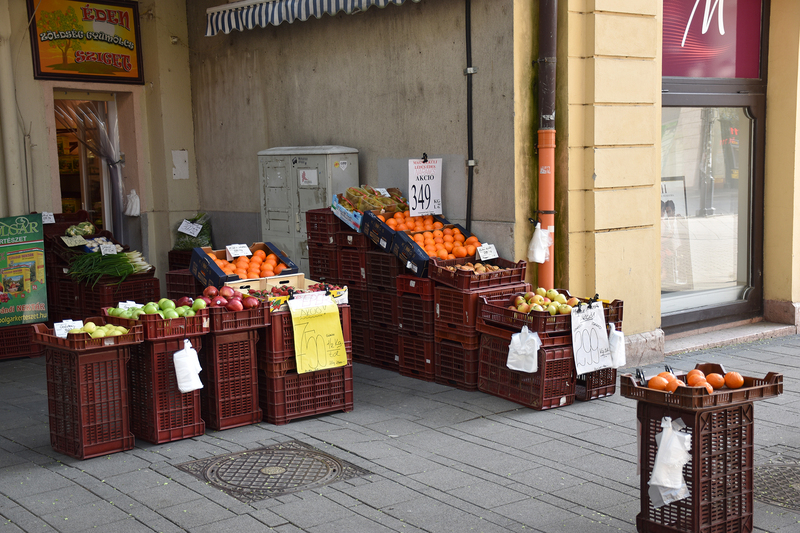 We departed from Belgrade sooner, so that we would have enough time to see and try everything Gyor offered us. The journey was considered arduous from the beginning, because we had to visit so much in only 6 days. When faced with longer periods of sitting on a bus, or any other vehicle, at least in my case, I experience stomachaches. This time, I prevented that situation by bringing my personal little blender (Breville Blend Active) with me on the trip. 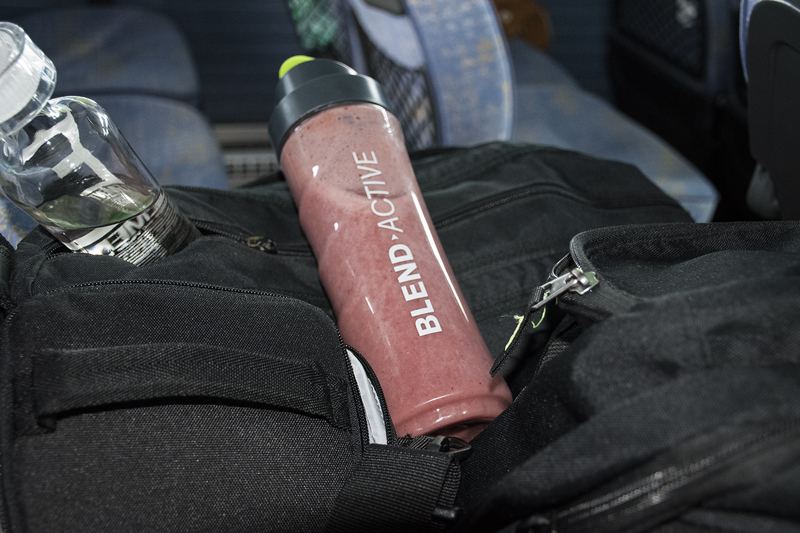 In this way, I had a snack and healthy food with me at all times (always a different smoothie in the outer pocket of my backpack). You always need to make time for a healthy lifestyle. 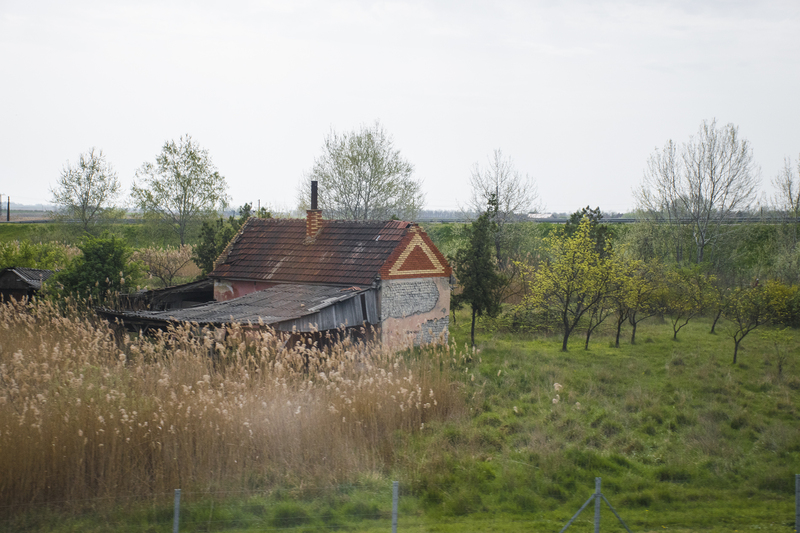 Our journey to Gyor lead us near old villages. Although a bit derelict, they seemed pretty idyllic. There were a lot of places to take a break. 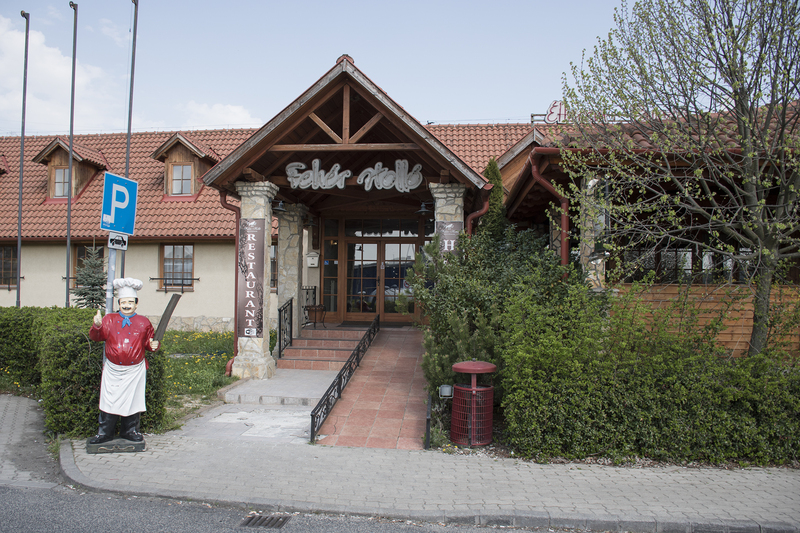 Also, we found some restaurants to enjoy in Hungarian specialties which are very similar to ours. We arrived to our humble hotel Amstel Hattyú Fogadó. 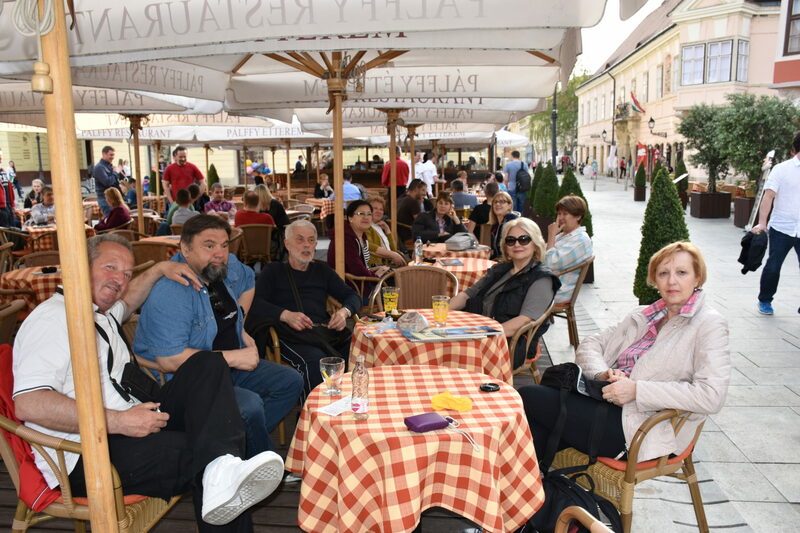 After we had unpacked quickly, some of us went on a tour through the town, and others to thermal pools which Gyor is also famous for. 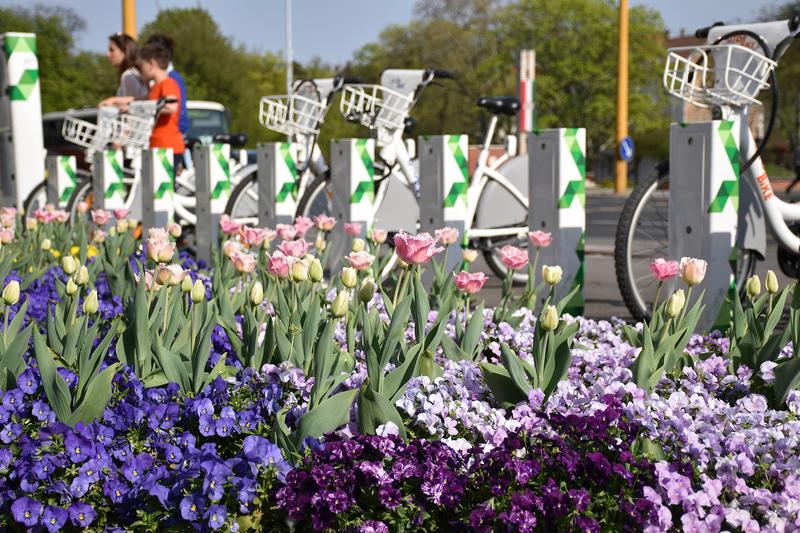 If you are in Gyor, it is worth paying a visit to Rába Quelle Gyógy . The first pool was built in 1931, and today the complex is divided into adventurous (sledges and entertainment for the younger ones) and thermal. The water temperature is approximately between 29°C and 38°C. Entrance fee is about 10€. Beautiful days made promenade along the riverside even more beautiful. 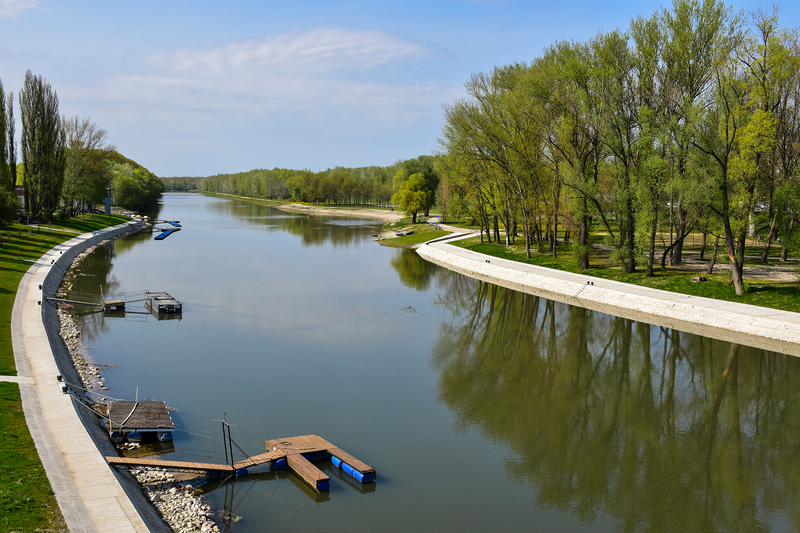 Gyor is set on the confluence of Raba and Danube. This walk is a ‘must do’. Rich in flora and fauna. 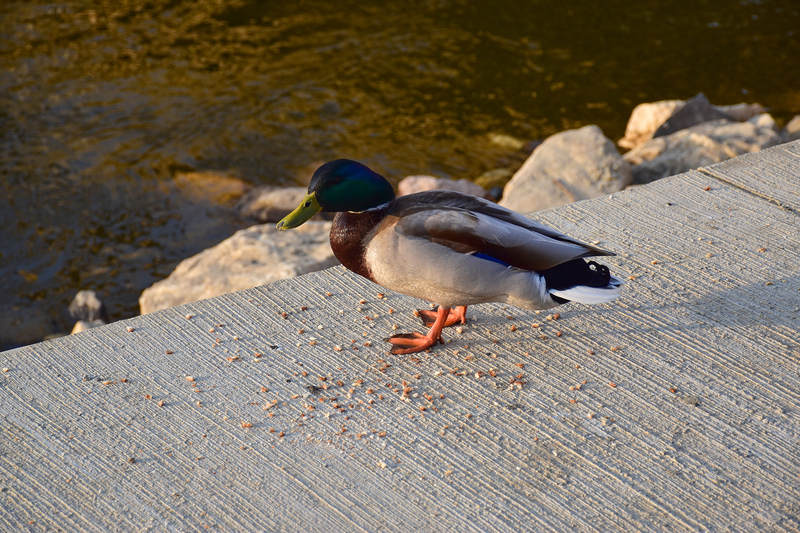 This was the dad Duck, and mom was chasing ducklings down the river. We went through the Baross Gábor Street, which is a city pedestrian zone, where most of the cafés, and restaurants are, and where you can also see a lot of Baroque facades. 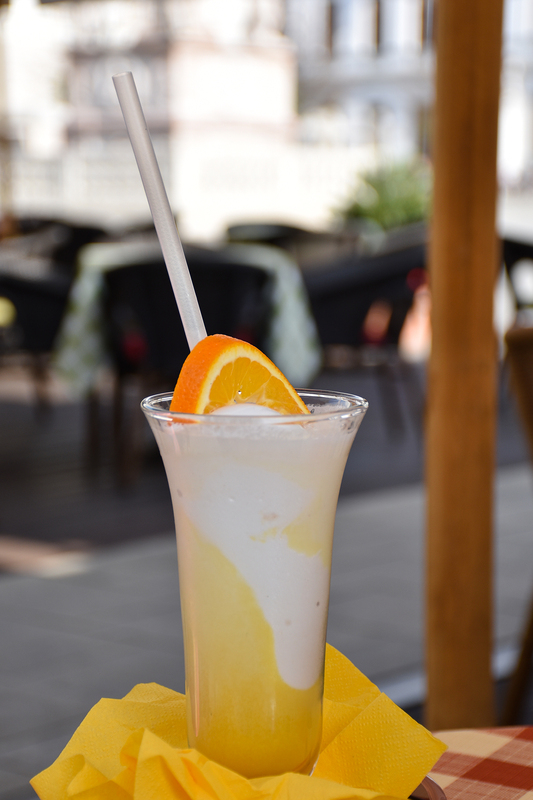 We relaxed in one of the central restaurants (on Széchenyi tér) with a great prosecco with orange juice and ice cream. It looked great, and tasted even better. Although the company was also great. Széchenyi tér is the main square in Gyor dating back to 14th century. It was the center of living in the Middle age, and even of death for some, because that is where the guillotine was. According to data, the last execution was in 1715. 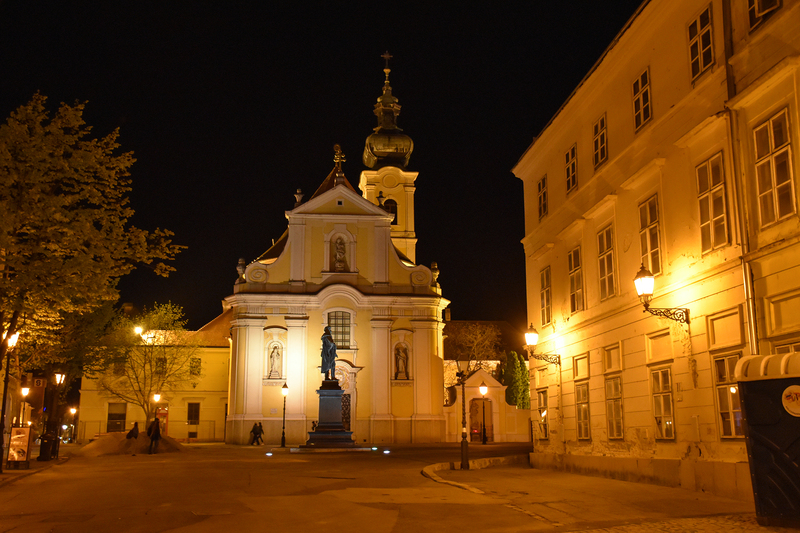 The main historical building on the square is Saint Benedict church and monastery which was first built in 1667. 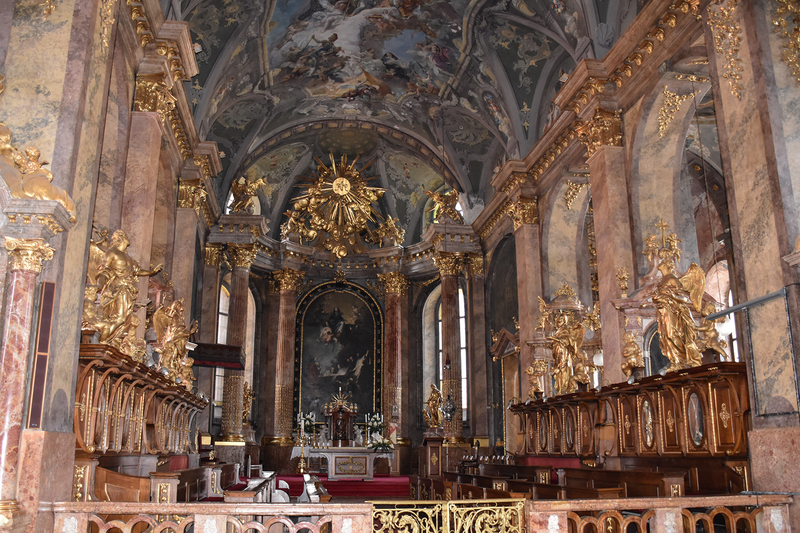 Walking through the city center, we found the main street with a glorious building in the middle of small Gyor, which took my breath away. Built in non-baroque style, as we were told. The whole square was covered in marble. In the immediate neighborhood there’s the train station as well. And a beautiful park right across the street, of course, with the possibility of going on a tour around the city with a bike, which was not a bad idea. 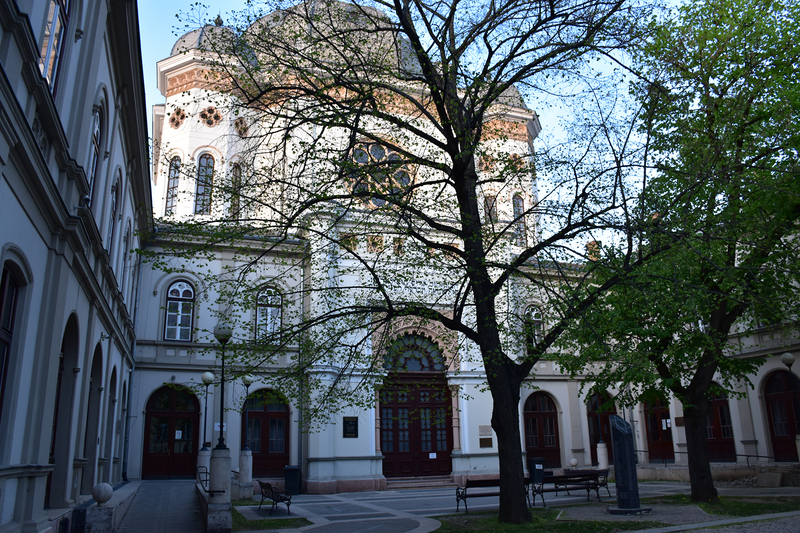 Walking tour took us to the Synagogue of Gyor which was built somewhere between 1868 and 1870. Lángos – fried pastry which is usually eaten with cream and cheese spread on it. It is not rare to see it combined with garlic and ketchup. It is considered very popular street food. Halászlé – fish soup (river fish, of course). We have our own fish soup, but you should taste the Hungarian version as well. Flódni – Hungarian- Jew desert. It consists of 4 layers: nuts, apples, poppy, and jam. 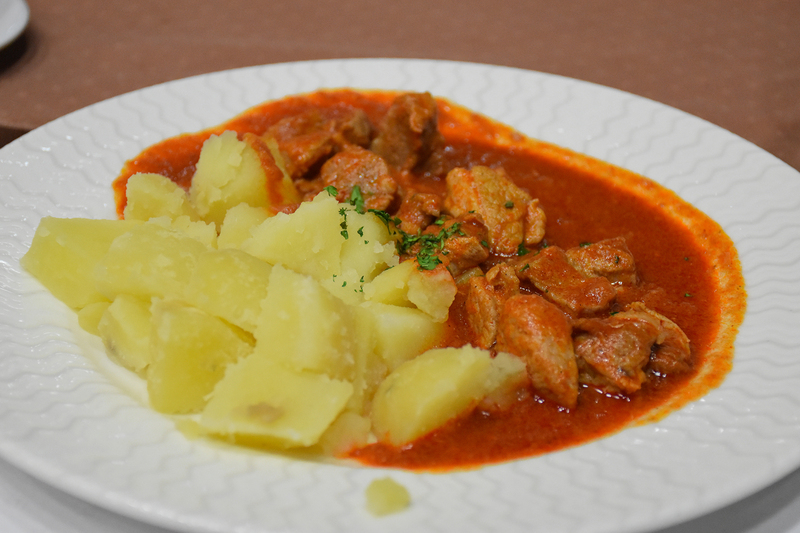 Chicken stew– creamy, savory and hot stew frequently served with dumplings or pasta. 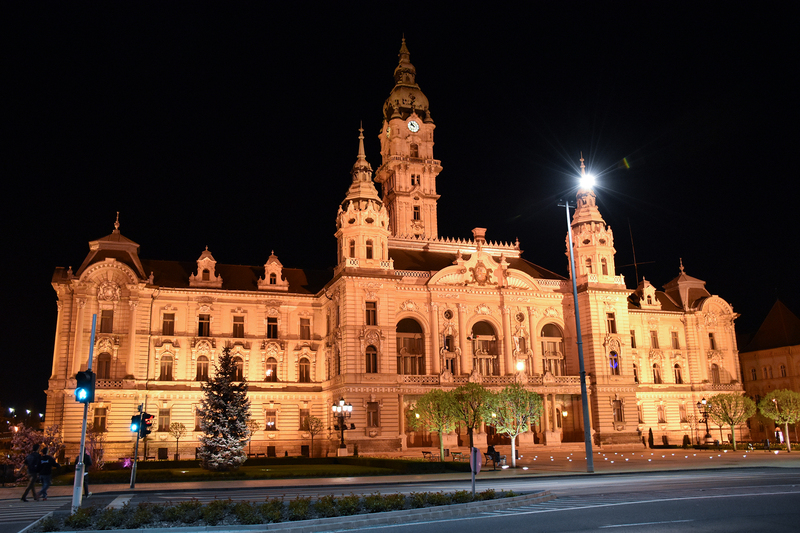 You need less than 2 hours of a light walk to visit entire Gyor, so, if you are spending the night, it is worth seeing it in street lights. 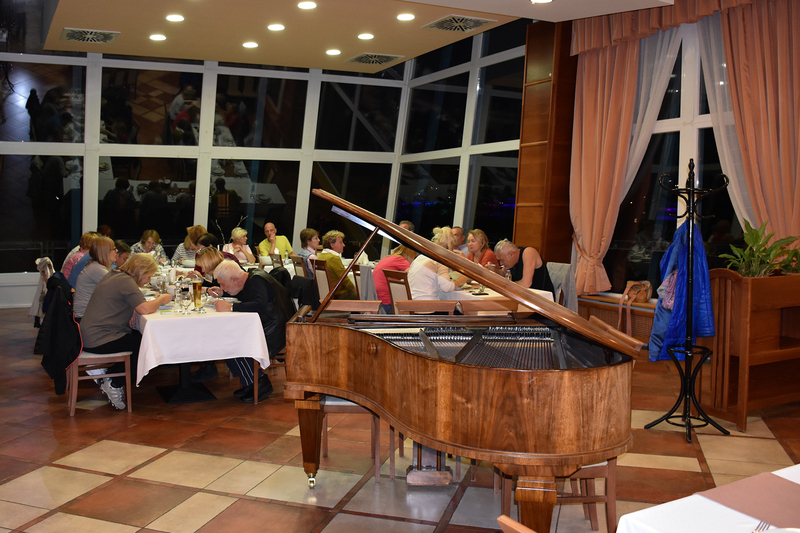 Enjoy while you’re staying in Gyor. You can make this trip for a weekend. Every change of environment is good for recharging the batteries. Why not to travel to Prague?